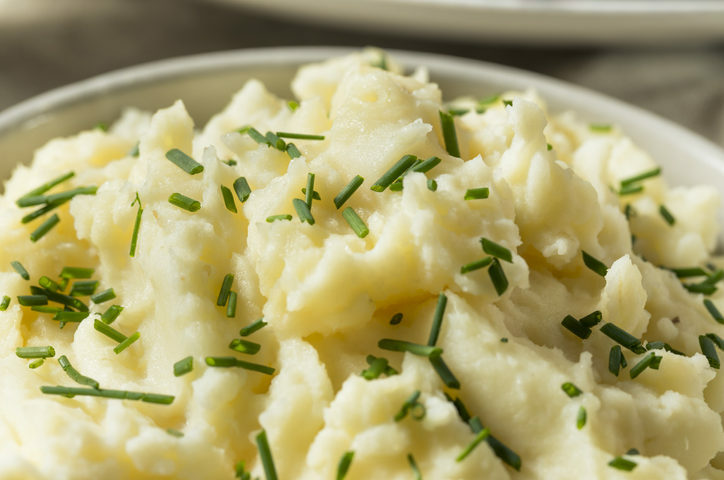 Slow Cooker Maine Mashed Potatoes are velvety rich. This easy dish requires no boiling, just simply chop & season and let the slow cooker do the rest! The result is smooth and flavorful potatoes which are the perfect side to any turkey dinner, or beef. Or whatever you desire. Place potatoes, broth, garlic powder and onion powder into a 4QT slow cooker. Cook on high 3-4 hours or low 6-7 hours, stirring every hour or so or until tender. Using a hand masher, mash potatoes until smooth. Stir in butter, sour cream, parsley and cream cheese if using. Season with salt & pepper to taste. Serve or keep on warm until serving.